We fully echo our comments on the Nike Air Max 1 post that the freedom given to Parra to design an iconic pack of 'Airs' is to be applauded. 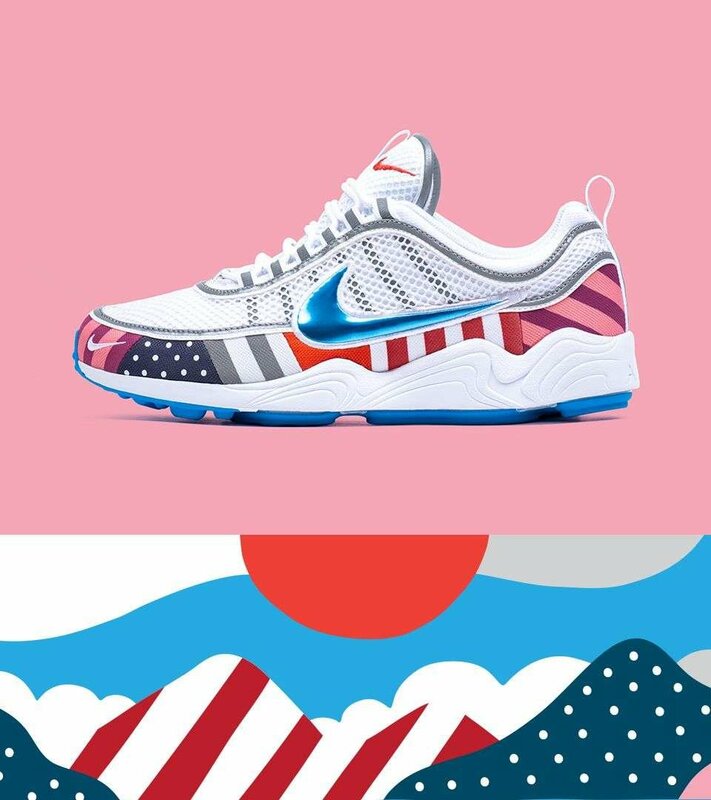 We like how the Spiridon features the trademark metallic swoosh, it shows a high level of respect for the model, but we do feel the Nike Air Max 1 'Parra' does over shadow the Spiridon when they go head 2 head. It might have been wise to drop these a week a part so we could appreciate them in isolation rather than the comparison we are all making. Both are killer, but we prefer the 1's.